A fun towel that can be used in a kitchen, bar or anywhere. Printed with a unique saying that is sure to be a conversation starter and will keep your family, friends, and guests laughing! 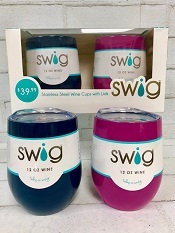 Makes a great hostess gift too! Choose your favorite towel saying or choose all 4! 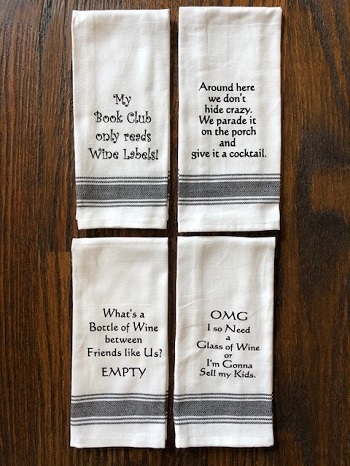 Choose Sayings -------------- My Book Club only reads Wine Labels! Around here we don't hide crazy. We parae it on the porch and give it a cocktail. What's a Bottle of Wine between Friends like Us? EMPTY OMG I so Need a Glass of Wine or I'm Gonna Sell my Kids.